There’s this new game that’s making it’s debut on Kickstarter namely Soul Saga. For those of you like me who have been starved for a good RPG (role playing game) from the days of the PS1 and PS2, this has you covered. 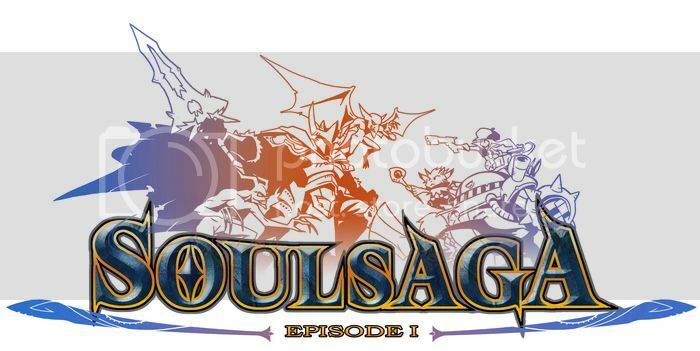 Soul Saga is from Mike Gale of Disastercake. He’s a one man team who is creating this game. He takes his inspirations for this J-RPG from games like Final Fantasy, Breath of Fire and Persona. I love J-RPGs – It is long overdue for us to get a really good RPG. There used to be an abundance of them back in the day with final fantasy, chrono trigger, breath of fire. But whatever Square Enix is doing these days, I am not very happy with. So hopefully this will scratch that 10 year itch. The music – This is key for any RPG. It helps set the mood to draw you into the world. When I heard the one for Soul Saga, I instantly fell in love with it. It’s on the VITA – I like to take my games with me when I go out. So having an RPG where you’re sure to need to do a lot of level grinding, it helps that I can always get some XP levels while I’m on the go. I talk with my money – Once other developers and big publishers see how many people are willing to pay for this type of game, they will hopefully also start to make games like this. Soul Saga is scheduled to come out on July 2014 which is about a year from now. It will be out on PC, Mac, WiiU, PS4 and PS Vita. Their Kickstarter ends in about 4 more days so there is still time for you if you want to invest in this project.